I receive eggs every two weeks from a coworker who has her own coop (I would love to have one myself one day!!!) and sometimes I get her notification that my new order of eggs is ready but I haven’t even finished the last bunch. 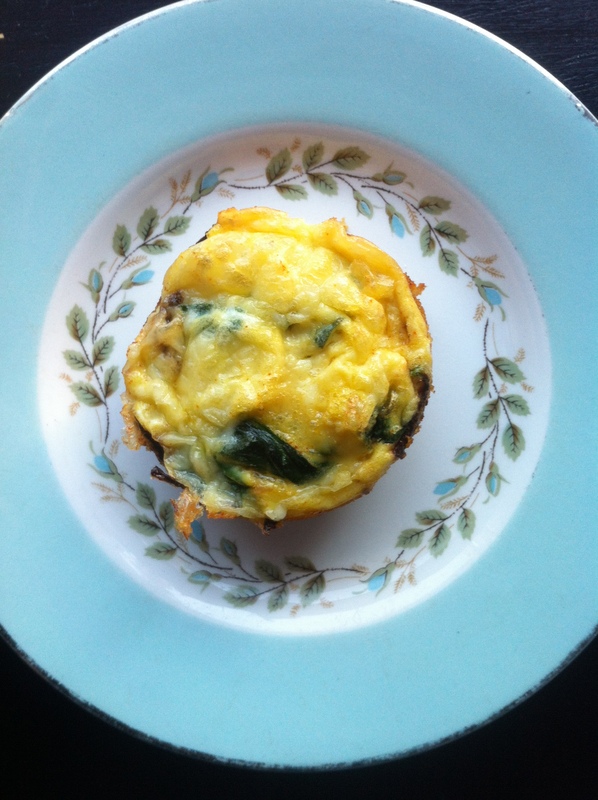 So, I decided to use up some eggs by making this mini quiche. These little yummy bundles are great for dinner, and keep well for lunch the next day. I’ve included some cheese and butter in mine, but listed modifications to make it dairy-free as well. Read on for a detailed recipe. *Whenever I use dairy, I prefer it to be organic and full fat/whole :), but go with your preference. To avoid dairy altogether you can swap the cheese for nutritional yeast and the butter for coconut oil. 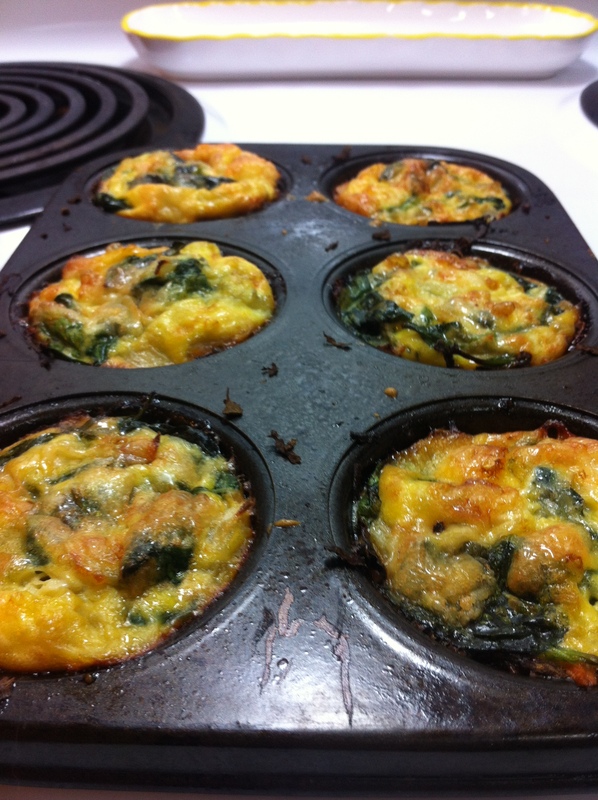 BIG TIP – Before you even get started on this recipe, I would strongly suggest you use liners for the tin, or a ceramic muffin pan. I was using an old tin (my mom’s from when I was little) and that baking dish has seen some things. The sweet potato stuck pretty bad. It still turned out delicious, but they would have looked cuter if they came out of the pan like a Martha Stewart cookbook photo. They didn’t last long, so it wasn’t the end of the world that they weren’t beautiful, but if you’re bringing these for a potluck, or want to present them in a pretty way, I’d go with one of those suggestions. When the crust’ is cooked, add a spoonful of the spinach mixture into each section then pour in egg mixture until the tin is almost full. They do rise a bit so you don’t want to fill them too high. Bake for another 15 minutes (or until brown) then eat!